Orta San Giulio is an old Italian medieval hamlet of about 1161 inhabitants located on the shores of Lake Orta, in the province of Novara. 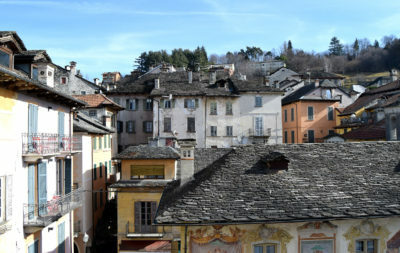 It is part of the “Most beautiful hamlets in Italy”’s itinerary and has been awarded the “Orange Flag” by the Italian Touring Club. The fabulous view over which the village overlooks, includes the homonymous island of San Giulio, site of an ancient convent of secluded nuns. 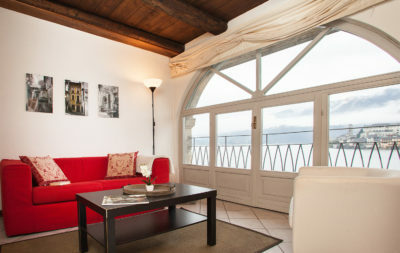 Are you looking for a home for your holidays in one of the most beautiful tourist destinations in the world? So do not hesitate to contact us! OrtaFlats offers apartments in a prestigious and perfectly central location! 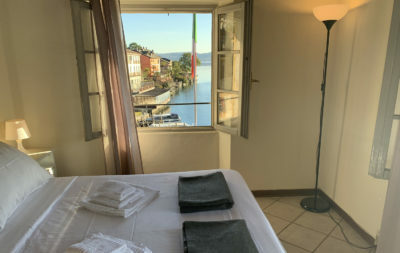 All our apartments are located in a single building located in the square, which is similar to a “living room” of Orta San Giulio and are directly overlooking the island and the central square, offering to all our customers a breathtaking view. You can rent for a minimum of two nights and you can make last minute bookings. 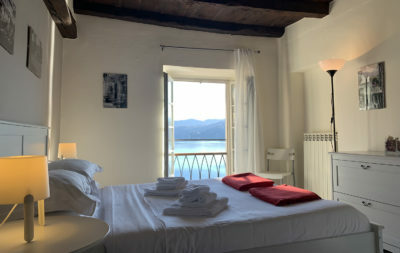 On request we have beds for younger children; pets are welcome in our facilities; all the apartments are served by wi-fi internet; available to our guests, also satellite TV and all the necessary comforts. Each apartment has a private garage. The structure offers its customers a garage for each apartment. A € 100 security deposit is required. The deposit will be returned upon departure after verification inspection of any damages. In our apartments we treat all tourists as guests and not as customers: we aim to create a relationship of mutual respect and support for all needs. We want to make you feel pampered and create a lasting bond over time. An experience in a warm and familiar atmosphere to try at least once in your life! The apartments are over 50 square meters and are complete with every comfort. Above all, they are very comfortable and the arrangement of the furniture makes the apartment spacious and airy. In addition, the kitchen will allow greater autonomy for breakfasts, lunches and dinners. As a result you will have more freedom during your holidays, you will not have to respect the usual restrictive hours for lunch and dinner. 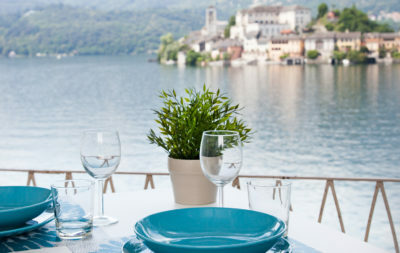 Follow us on social networks to find out more news and to get as many updates from Orta San Giulio! Ciao! Hai bisogno di maggiori informazioni? Contattaci qui! Hi! Do you need more informations? Contact us here!